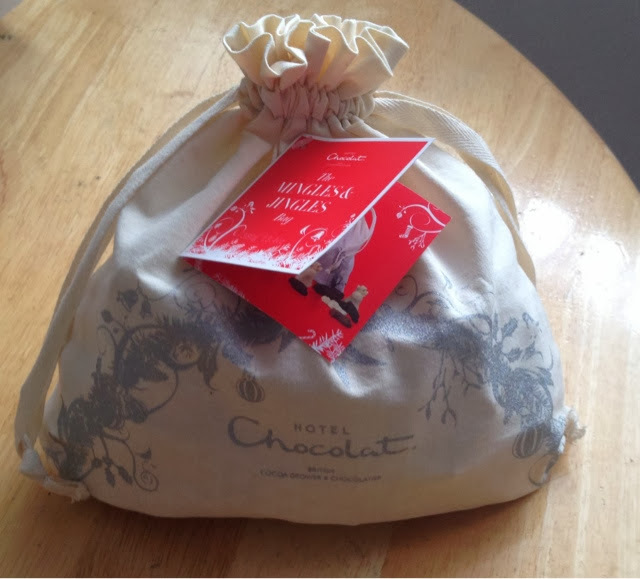 We were very excited when the chocolates arrived, they are contained within a beautiful drawstring bag and the chocolates are individually wrapped..we all enjoyed dipping in our hands..each time was a surprise as we didn't know which chocolate we would get...there were milk chocolate penguins, caramel angels and white chocolate bells..perfect for this time of year...we were all very impressed by the taste and the festive shapes of the chocolates....my son loved the cute penguin the most..and too be honest they didn't last very long..it was a fun festive and tasty introduction to Hotel Chocolat. 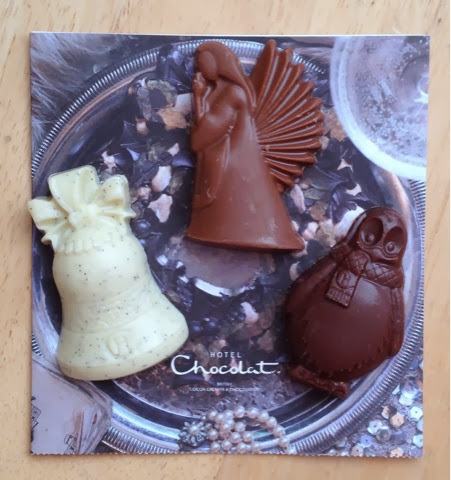 Thank you to the lovely people at Hotel Chocolat for sending us these yummy chocolates. 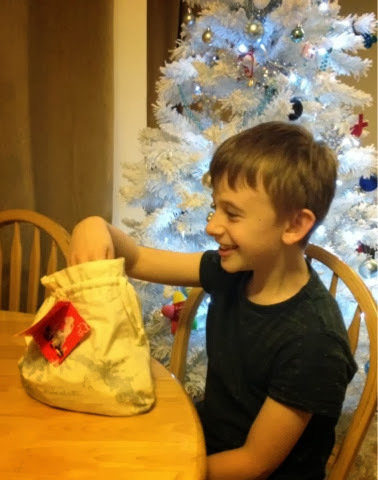 Disclosure : we were sent Hotel Chocolat Mingles and Jingles bag to review, all thoughts and opinions are my own and my family's.